Vision: Divorced Women’s Club is the vehicle to create a global community of inspiring women who bring their unique and special gifts into the world to help create change in the lives of others. Vision for my Clients: To become strong, emotionally, spiritually and financially independent women with a clear sense of their value and the passion and ability to inspire others. Mission: To inspire, educate and motivate women to use divorce as the catalyst to become leaders in their circle of influence with family, friends and in their communities and for those who are called forward to the world at large. 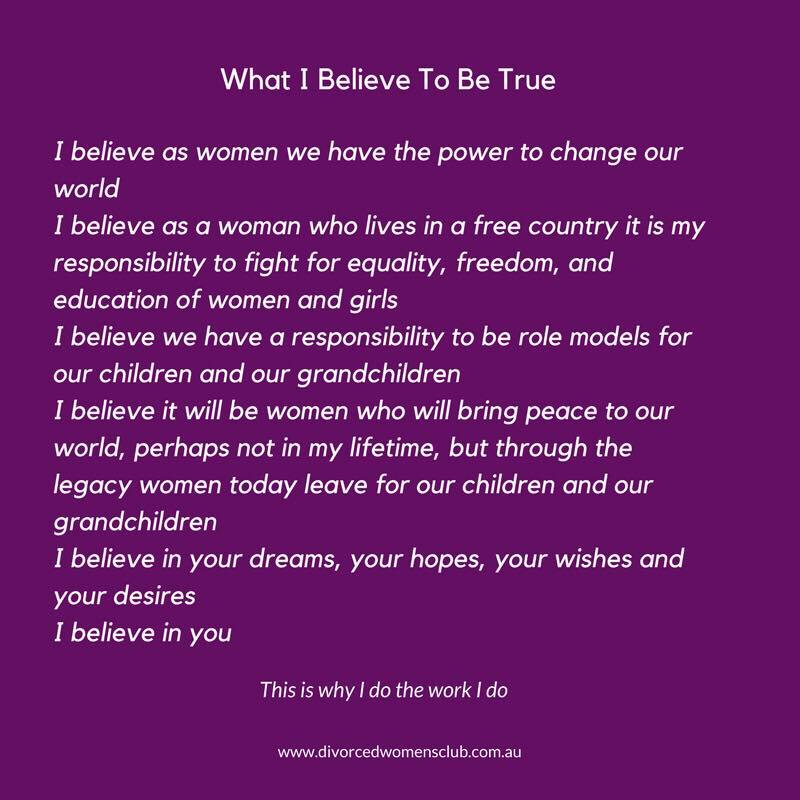 Philosophy: I believe as a woman who lives in a free country it is my responsibility to support equality, freedom and education of women and girls in Australia and around the world. Please take some time to have a look around at the different options we have created to guide and support you at every stage of your journey. Post-Divorce Hilly: Why, Hello, Dahling! Comments Off on Post-Divorce Hilly: Why, Hello, Dahling! Copyright 2013 © Divorced Womens Club.